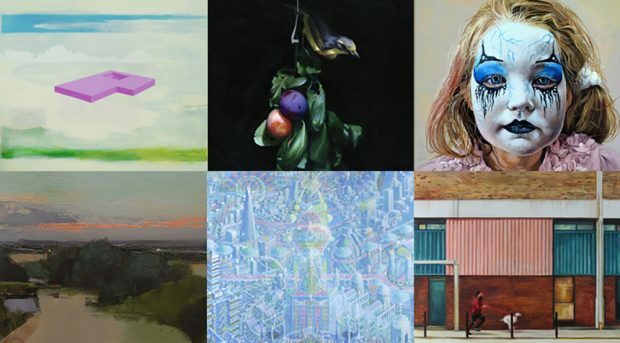 Jackson’s Open Painting Prize 2019 received an unprecedented 5366 entries this year, from artists all over the world, of all ages and abilities. Now, after much deliberation, we are proud to present the Longlisted artworks and invite you all to vote for your favourite entries for the People’s Choice Award. To every single artist that entered the competition this year, we would like to extend our heartfelt gratitude and admiration. We appreciate the time and energy that goes into entering the competition, as well as the careful consideration given to the details and guidelines before submitting your work, not to mention, the hours spent creating the work itself. Thank you for your willingness to share your artwork amongst your creative peers and the Jackson’s community. Also, for those of you entering the competition for the first time, congratulations! Creating the Longlist is never an easy task and with such an exceptional standard of work submitted, this year has been no exception. From 5366 entries, we have selected a Longlist of just 420. These artworks are now eligible for one of the six Category Prizes of £500, the People’s Choice Award of £1000 and the Overall Prize of £5000. The emerging artists in the Longlist will also be eligible for the Emerging Artist Award £1000. The Longlist will now be presented to our panel of Expert Judge’s who will create the Shortlist, which will be announced on the 12th April, 2019. In order to vote for the People’s Choice Award, please register as a user on our competition software. You have until noon on the 24th April, 2019 to log in and cast your vote. Please feel free to invite your friends and families to vote too.